E! D! F! E! D! F! It's been a while since we last had the opportunity to cover ourselves in the gooey bits of giant, extraterrestrial insectoids, but that doesn't mean we haven't been craving it all the same. Luckily for us, we have a brand new reason to venture forth onto the streets in search of alien bug gut showers (which is coincidentally the name of my new sci-fi punk band). Earth Defense Force 4.1: The Shadow of New Despair has made its way onto the PC and brings with it all the four player online co-op your body can handle. For those not in the know, the Earth Defense Force franchise centers around giant, otherworldly insects invading our home planet and the defensive measures required therein. Put more plainly, it's about you destroying every damn bug unfortunate enough to enter your line of sight. To do so, you'll be utilizing everything from small arms to gigantic mechs. 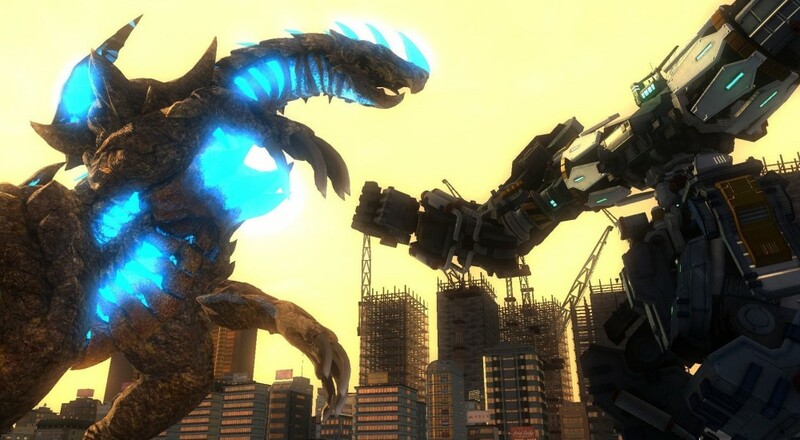 EDF4.1:TSOND on PC is a port of the PlayStation 4 version, which itself is an updated port of Earth Defense Force 2025, featuring new missions, better graphics, and more weapons... not that you necessarily needed that last bit. Check out the trailer below. Console versions of the EDF games have tended to struggle with their propensity toward large-scale combat and destruction, a flaw we found difficult to overcome back when we reviewed the original Earth Defense Force 2025. Let's hope that the PC port brings with it improvements on the optimization end, cause I can think of few things I want more than to sit down with some friends and fire rockets at strangely aggressive ants. Page created in 1.6482 seconds.